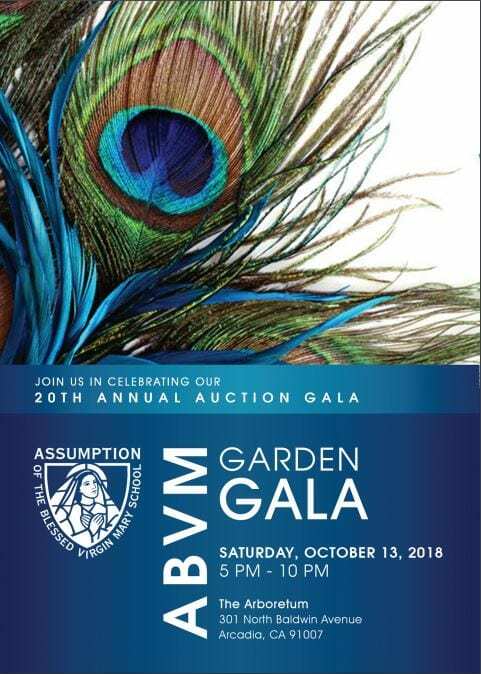 On Saturday, October 13, the ABVM Garden Gala will be held at a wonderful new venue in The Arboretum. New venue in a new season and exciting new event features with the same fun-loving and ever-supportive Assumption family! You won’t want to miss this one! So plan to purchase your tickets early to get a discounted price! On-line ticket sales start on Friday, August 24. As always, team work makes the dream work…your contributions in gift donations, sponsorships or service hours will make this a fun and successful fundraising event! Gala committee will start accepting donations on the first day of school. Donations received before Friday, Sept 14 will earn families a Free Dress Pass. Please visit www.abvm-school.org/gala for more information. Please do not hesitate to contact the Gala Co-Chairs (Melissa Basulto or Athenel Trazo) for any questions.